The Lowest Pair opened for Trampled By Turtles on a few dates including the Ryman earlier this month. So, how cool is it that they are making a stop at Bobby’s Idle Hour tonight as part of their solo tour before heading to SWSW next month? We rarely spend time at Bobby’s, and it marks our first official show at the only bar on Music Row, so this will be an exciting night for multiple reasons. 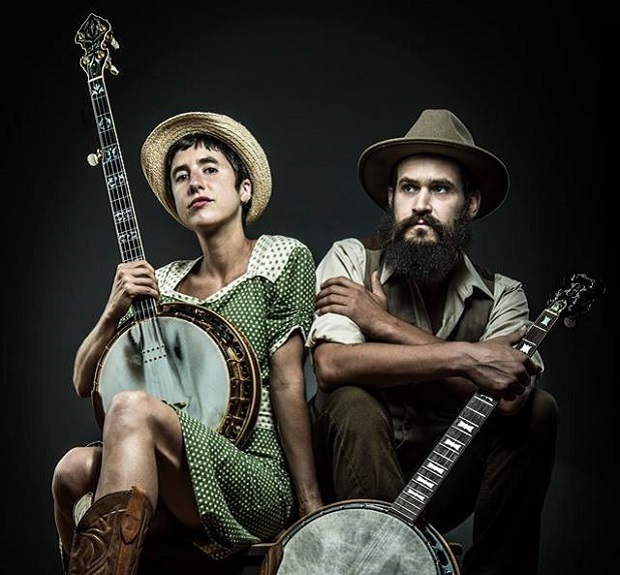 The Lowest Pair are a duo made up of banjo pickers (and occasional guitarists), Kendl Winter and Palmer T. Lee. They recently debuted a new single off their upcoming album, The Sacred Heart Sessions. The Bluegrass Situation said “She (Winter) and Lee’s banjos intertwine with ease, emoting softer than the instruments usually do. Despite their resonance and volume, the twin tracks allow Winter’s Nicks-esque vocals to cut through the mix with devastating effect.” Check them out performing during the Red Ants Pants Music Festival at the inaugural Live from the Back Pasture sessions a couple years ago. The Lowest Pair will perform tonight (February 24th) at Bobby’s Idle Hour. The show is 21+, begins at at 9:30 PM and, to the best of our knowledge, there is not a cover charge.